The strike targeted three houses connected by a trench where IS leaders were meeting in the town of Hajin. The Euphrates valley area is one of the last parts of Syria under IS control. Those killed included the IS "deputy war minister", a media chief, its police chief and leader Abu Bakr al-Baghdadi's personal courier, Iraq said. 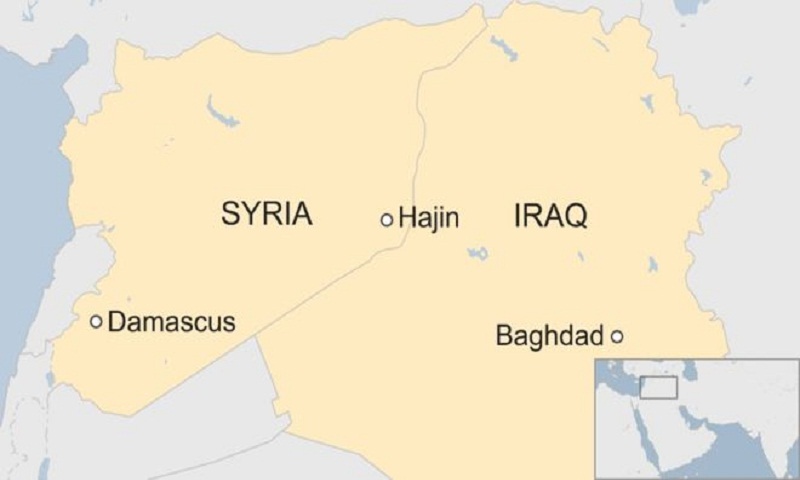 The Iraqi military has been cooperating with the Syrian government in the fight against the militants, who are holding out in areas along the border between the two countries. Last December the US-led coalition against IS said 98% of territory once claimed by the jihadist group across Iraq and Syria had been recaptured.